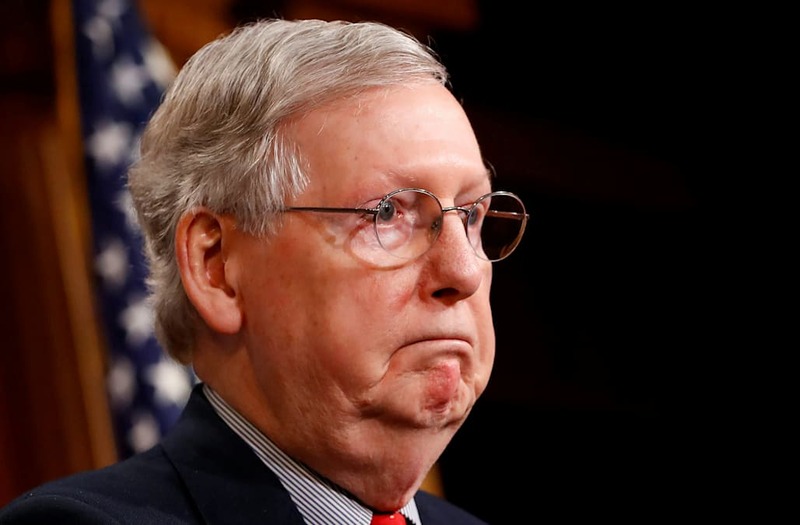 Senate Majority Leader Mitch McConnell was asked during a Friday press conference about whether he believed President Donald Trump when he said Thursday that none of his campaign officials had communicated with the Russian government prior to the November election. "Do you believe him?" a reporter asked. Trump was repeatedly questioned about the Russia-related controversy casting a cloud over his young presidency during a Thursday press conference. And each time, he attempted to crush the story, at one point saying that "Russia is fake news." He denied what The New York Times and other outlets reported earlier in the week: that multiple campaign operatives maintained contact with Russian officials throughout the campaign season. Trump said he was unaware of any such communications. The reports were based off leaks from US intelligence officials, on which Trump has promised to crack down. McConnell's comments came as part of a wide-ranging news conference Friday. He also said he was "not a great fan" of the daily tweets emerging from Trump's Twitter account. Reporter: Do you believe Trump when he says no one from his campaign had contact with Russian officials?